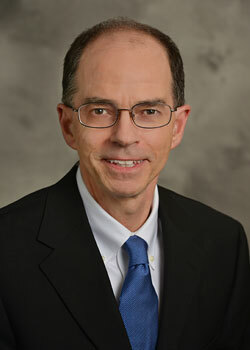 David Dickensheets, MD - Infectious Disease Services of Georgia, P.C. Dr. David L. Dickensheets, a New Jersey native, received his B.S. degree with Highest Distinction in 1976 from the University of Rhode Island. He then attended Thomas Jefferson Medical University in Philadelphia and received his Medical Degree in 1980. A medical internship was completed at the USPHS Hospital in San Francisco in 1981 and residency at Roger Williams General Hospital in Providence, Rhode Island in 1985. In 1988, he completed a fellowship in Infectious Disease from Brown University. SUBJECT: Clostridium Difficile, or “C. Diff,” one of the leading causes of hospital-acquired infections. Following his fellowship, Dr Dickensheets worked in private practice in Gainesville, Florida before moving to the Atlanta area in 1998. He is Board Certified in Infectious Disease and Internal Medicine. He has professional affiliations with the American Medical Association and the American Society of Microbiology and currently serves as the Treasurer of IDSGA. He is the physician chair of the Infection Prevention Committee at Northside Hospital Forsyth. In his spare time, he enjoys various garden and yard projects at his home in Alpharetta and travel excursions with his wife and daughter.